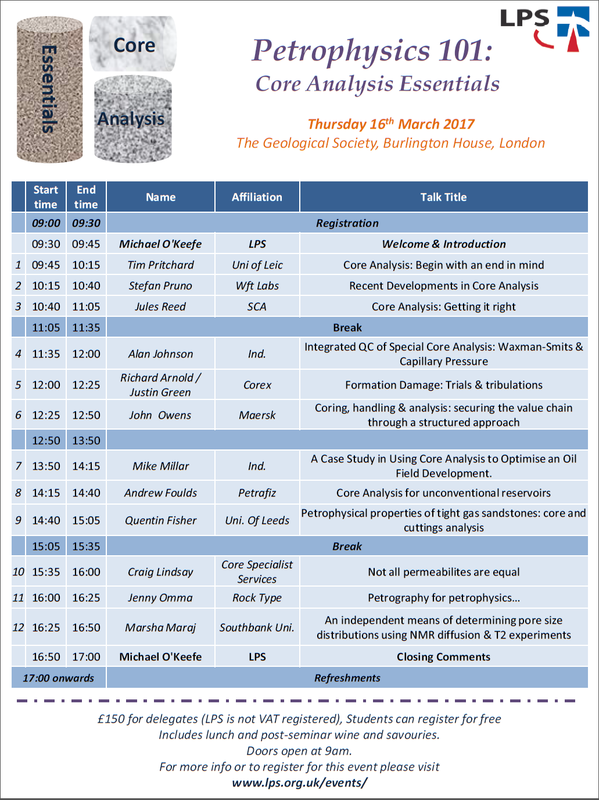 On Thursday 16th March 2017 the London Petrophysical Society will be holding a one-day seminar entitled “Petrophysics 101 – Core Analysis Essentials” at the Geological Society, Burlington House, London. This one-day seminar will consist of a series of themed talks, on the essentials of core analysis for formation evaluation, each lasting around 30 minutes with five minutes for questions. If interested, please visit the London Petrophysical Society Webpage for more information. www.lps.org.uk.